HISTORY OF THE BLUE DOOR - Site de laportebleue ! The Ile d'Or, or Island of Gold, is a special district of Amboise. Many years ago a geological "accident" left an enormous rock sitting on top of the sand in the Loire, creating the island. 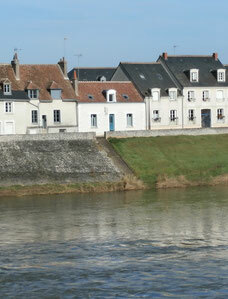 The city of Amboise and its castle were constructed on a ridge facing the island. The island has only fifty houses and the inhabitants feel they live in a very privileged location, only 300 meters from the city center. No one can say when The Blue Door house was built, but it is likely well before 1901 as it appears well established on a postcard from that year. The house was quite likely inhabited by a sailor since the Loire River was formerly a major route for transporting goods. I bought the house in 2002 and renovated the ground floor so I could live there. The following year I renovated the attic, which occupied a full floor, and began to offer it as a vacation rental. The success of the rental surprised and excited me! Receiving guests was an unexpected pleasure--especially for me who did not speak 10 words of English. Now instead of flying to new destinations, I travel through my discussions with guests who arrive from around the world. 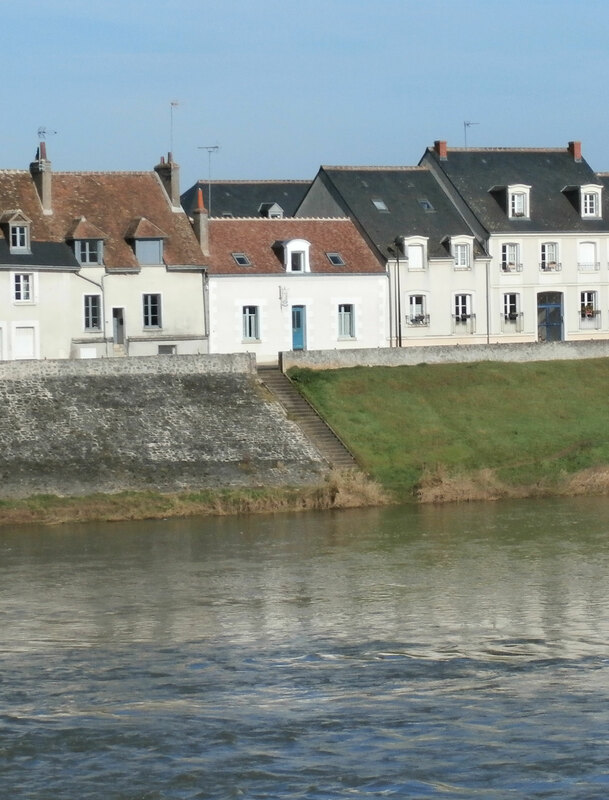 It has already been 14 years since I started renting The Blue Door and I am particularly happy to see certain guests return regularly because they love the region, Amboise...and the house too. Then in 2008, after acquiring a taste for renovating old houses and discovering the pleasure of welcoming guests from other regions, I bought a second house on a neighboring street and started another long and exciting project. To help finance this new project, I moved to that house in 2009 and started renting the ground floor of The Blue Door. So I exchanged the fantastic view from The Blue Door for a small garden and sunny terrace as well as the joy of seeing the amazement in the eyes of my guests when they arrive at The Blue Door!